Ami's First Love confirmed on the DVD. I'll probably edit this post and cover the rest when I get my copy next week since like with S, I'll be buying this at Best Buy on release day. CALLED IT! Also, the Bluray cover cuts off right at Pluto's elbow. So can it be confirmed now if the Ami short is exclusive to the Blu-ray disc? Edit: It's also on the DVD! I'm excited to finally hear Ami's First Love in English!. ^I can’t tell from the opening did Viz/Studiopolis leave the kids singing undubbed like Pioneer/Optimum did? That surprises me for a couple reasons. It sounds like they did. That trailer was so extra, lol. The SuperS movie is, like, the least dramatic of the three, but whatever. God I hate how they say "Chibiusa." It's so unnatural. That trailer was so extra, lol. The SuperS movie is, like, the least dramatic of the three, but whatever. God I how how they say "Chibiusa." It's so unnatural. It’s mostly the way Miss Sheh pronounces it that bothers me. Though they all say it weird. B. They did something the old dub did and that seems to go against their Golden Rule. 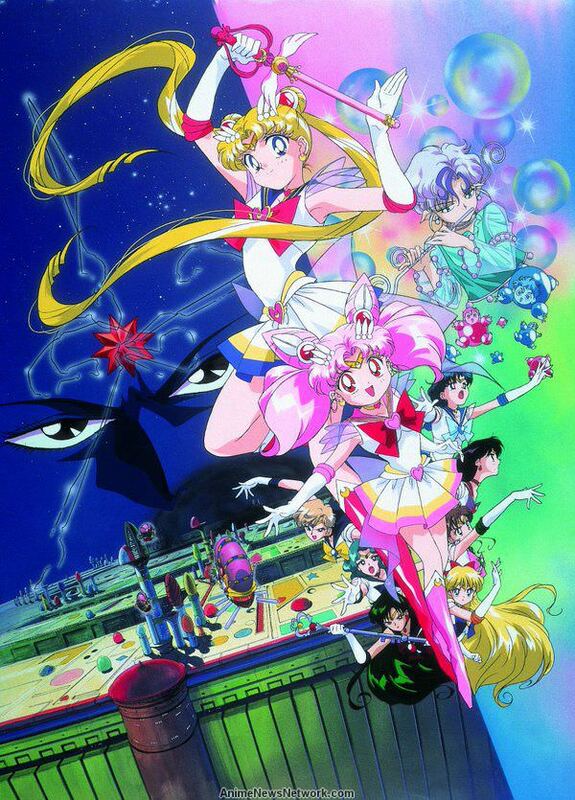 Can somebody with photoshop/graphic design skills make us a replacement artwork for the Sailor Moon R Movie's Bluray, and DVD's cases? So it could match S & SuperS? The back cover is already done for you; keep what is already there on the back, just swap out the art on the front for the original R movie artwork. Throw some logo's on there and get the dimensions right and bam. Even if you have to charge us for it through paypal lol. Or just upload the file for the greater good of society!! There's gotta be somebody who can do this? Having viewed the entire dub at the Fathom Screening, I can confirm that YES, Viz did not touch the song. Can't say I blame them. It sounds fine as it is, and would've been difficult to redo. It would probably cost a lot to hire a children's chorus to sing a song like, rather than getting just an in-house voice actor to sing a song. Anyway, not surprising. The old dub didn't do it, and when I was little I didn't even realize the song was supposed to be Japanese. God I hate how they say "Chibiusa." It's so unnatural. I'm honestly convinced that the reason the name sounds off is because of Viz's baffling insistence on spelling the name with a hyphen in the middle of it. 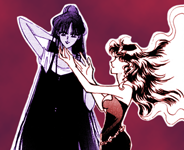 Like, "Chibiusa" vs. "Chibi-Usa". One way looks like it would flow more naturally when spoken as one whole word, while the other looks like it demands a bit of stress to emphasize a clear distinction between the two halves of the name. Hence the awkwardness we get from how the name is said at times by the Viz dub actors, all because of that irksome hyphen. 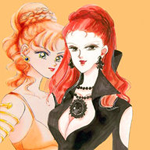 Some european dub pronnounced Chibiusa as "Chibusa", but I can't recall which one. IIRC Only the Italian dub translated the song, and even then, they did it over the Japanese vocals, which could still be heard. I’m guessing Toei didn’t make a vocal less version. It's the Swedish dub. They even pronounced it as "Chibosa", but either way, it doesn't make any sense at all since Usagi's name is Annie in the dub. 80% of the international dubs missed the point of Chibiusa's name. Didn’t Mexico have to use the Dic names for some reason? Because DiC held the North American license or something? Though Intertrack did the actually dubbing for Mexico and iirc was much more faithful than Optimum? How much do you want to bet the eternal editions will get rid of the hyphen? Yes hey had to use Dic names for various characters that first appeared in the first two seasons, but I never came across any credible sources on why Cloverway (yes, the same Cloverway that produced the English S-SuperS dub) told Intertrack to do so. The Inner Sailor Soldiers' first bunch of attacks also had their Spanish names based on the DiC translations, minus Moon Tiara Action and Akuryo Taisan.